Allianz has unseated AXA as the overall winner in the latest bi-annual Brokerbility Insurer Satisfaction Survey. This is the first time Allianz has been named the overall winner in the survey. Brokerbility members were asked to rate the network’s seven key insurer partners out of ten. The insurers rated are AXA, Allianz, Aviva, AIG, NIG, RSA and Zurich. 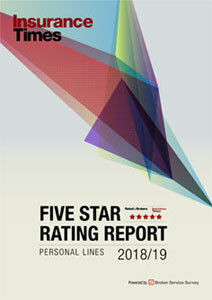 The categories Brokerbility members were asked to rate were accounts, claims, underwriting and overall satisfaction. 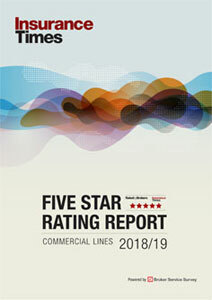 There was an upset at the top, as Allianz pipped AXA to its long-held first place position for highest overall satisfaction by a hundredth of a percent, beating AXA’s 80.52% score with 80.53%. RSA took third place with 80.5%. It was not all doom and gloom for AXA, as the insurer beat competition from third-place Aviva and second-place Allianz to take the top position for claims satisfaction with 82.82%. However, all three of the top-scoring insurers in the claims category received lower scores than in the previous survey, while fourth-place AIG saw a marked improvement with a score of 76.83%. In the underwriting category, Aviva Bonus triumphed with a score of 86.68%, a 4.32% rise on last year’s score. Allianz, which scored 77.43%, took second place. Third place went to Aviva, with 77.15%. RSA defended its position as top for the accounts, scoring a high 92.70%. Axa and Aviva came in second and third respectively, with 89.2% and 85.78% ratings. Brokerbility managing director Ian Stutz said: “Our bi-annual survey is an established barometer of insurer performance underpinning our commitment to customers to deliver a quality service. AXA has been voted top insurer in the latest bi-annual survey by Brokerbility of its broker members.